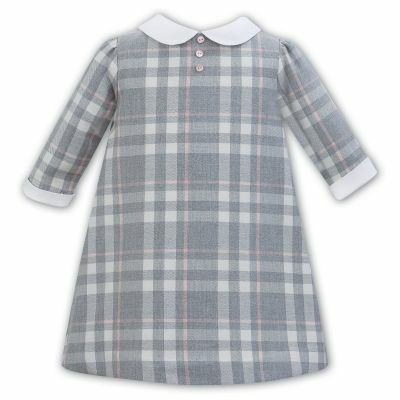 This delightful pink check dress from Sarah Louise. Pretty all over check pattern. Large burgundy velvet bow around the middle.